…and discover an amazing place in the heart of Europe where you will encounter fantastic alpine walking and nature in all its glory. You will walk in areas untouched by cars on tracks that have served the mountain peoples for thousands of years. There are traces of Roman roads and even stone age settlements in the high pastures. 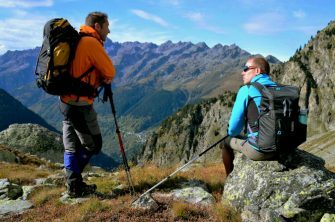 We are passionate about our area and strive to provide the best possible alpine walking and trekking experiences, including safari style excursions in and around the Ecrins National Park. We carefully tailor your walk, trek or excursion to suit your needs or you can choose one of our packages. Ecrins Alpine Safaris is based in the quiet village of Allemont, near Bourg d’Osians, gateway to the Ecrins National Park in the French Alps. Journey with us to beautiful locations; paint, draw and photograph or simply be at one with this area of outstanding natural beauty. The Summer season lasts from April to November when the mountains reveal their alpine beauty. The Winter season, from December to March, is one of snowy peace and tranquility.